It’s the end of 2017 and, for a lot of people, it’s a time for reflection and promises going forward. This last week I was on the road for the holidays, but managed to fit in a few things worth talking about. Nothing new this week, but rather a rediscovery of a playlist I made earlier this year while on a road trip through the southwest, a combination of two wonderful albums. I’m sure––because their singing voices can be considered similar––that these two musicians are sick to death of being either compared to each other or, at the least, paired, but these two albums work so well together that it’s hard to listen to them on their own anymore. 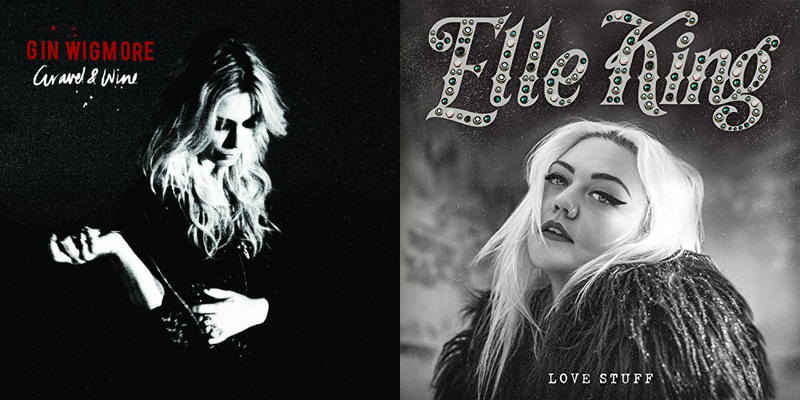 Both have their own approach to dark, drunken roots-rock that complement the other while being wonderful collections of songs independently. However, Wigmore’s songs are more unhinged, more dangerous and raw, which can make listening to her album a bit of a draining, depressing experience (not really, but it could, technically). King’s album has a nice smattering of really good songs that are a bit safer than Wigmore’s, but the swagger is stronger and the diversity of music is a bit more engaging, but also in the mix are a few songs that are a bit too saccharine to the point where they feel a bit out of place. Picking out the best songs from each album and mixing them together in a playlist has been a gift that keeps on giving this year, and rediscovering it this weekend has invigorated me more than I expected. Below are a favorite song from each album. The Animal Planet/Discovery Channel series has been a recent discovery for my homestead. Its discovery came directly from my wife, Nicole, who found the series through an organic unfolding stemming back from a book she read called The Final Frontiersman, a book about the family of Heimo and Edna Korth, who live in the northernmost region of Alaska. Apparently––according to the introductory credits of the television show––it’s a region of the country where only a handful of families are, now, allowed to live. After 1980, Alaska ceased giving out cabin permits to new applicants, and the grandfathered families will have their permits expire after the death of their children. The Korth family is one of only a few families allowed to live out there, and Nicole became consumed by these stories, which led us to The Last Alaskans. The show follows four of these families as they struggle to survive in the wildest of American wildernesses during the winter, which makes for a compelling watch. It’s a show painted with both compassion and criticism, but without ever falling to either cynicism nor romanticism, which makes it more compelling. If anything, it is a show about optimism airing beneath an umbrella of omnipresent despair, which perfectly paints the human condition, all presented with beautiful photography. I finally got out to see the new Star Wars movie. I’m not the biggest Star Wars fan, but I find the movies entertaining enough. For all the controversy and divisive opinions surrounding the film, I quite enjoyed myself, though I can understand why it did not appeal to all crowds. It’s a ponderous movie, which is what I liked about it. It focused more on interaction than action, which I find boring anyway. I really enjoyed the tension portrayed between the two focus characters––Rey and Kylo Ren––and I really liked the arc of Luke Skywalker. I’m a character-focused guy––both in consumption of media and as a creator––so whatever flaws lay in the plot didn’t bother me because the attention they gave to these characters (at least, the characters I cared about) was overwhelmingly satisfying. 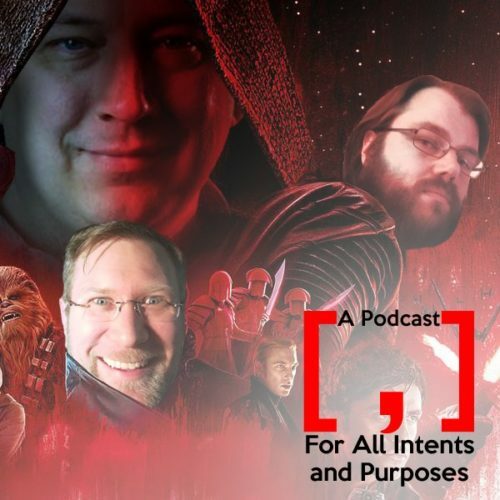 This week, on my podcast, A Podcast [ , ] For All Intents and Purposes, my podcast partner, Andrew, and I bring in an original-generation Star Wars fan, in the form of Jason Tudor, to talk about the new Star Wars and it’s a conversation that goes places. As said earlier, with all the travel this week, I haven’t been able to properly work on Long John this week, though I’m eager (and ready) to get to drawing. With that in mind, here is another sneak peek into the upcoming chapter. Next week, I’ll reveal the cover and title of Chapter 3, just to get things going. The above image is a bit of a cheat, because I’ve used it as title images in a recent series of videos, but it’s definitely a panel from an upcoming page of Long John, Chapter 3. 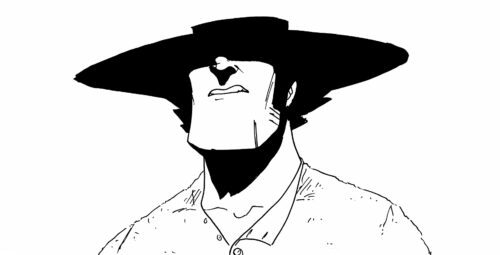 I can’t say it’s endemic of the entirety of Chapter 3, but I’ve been leaning more into what’s called spot blacks (meaning, all-black shadows) recently, if anything to make drawing more interesting and challenging.